Cafe Gelato offers what you can call extravagant, creamy and delicious desserts for your meals. They are located in Abuja and a part of the Drumstix Food & Investment Limited. 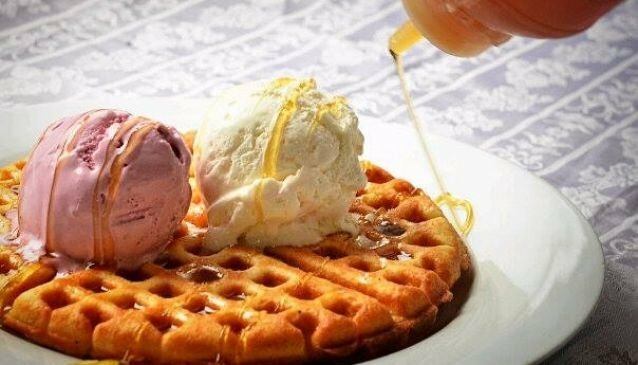 They make waffles, milk shakes, ice cream, cupcakes, cakes and other desserts you will love. They have smoothies too. At Cafe Gelato, you can be sure to have a good time, be treated well and have an overall good dining experience. A local celebrity could be visiting or there could be an in-house event happening to make things interesting. Cafe Gelato can supply your desserts requirements during your event. They work with Mamman Kota, Aunty Ajobi, and Drumstix.